Dr. Dwayne Christensen, a native of Kaycee, Wyoming, founded, owned, and operated Powder River Veterinary Clinic (now Powder River Veterinay Hospital & Supply, PC), for over 37 years before selling the practice to Dr. Candice Carden in March 2012. He attended veterinary school at Colorado State University. Dr. Christensen's primary focus is beef cattle medicine, along with small ruminant herd health. His years of experience and expertise are an invaluable asset to our practice. 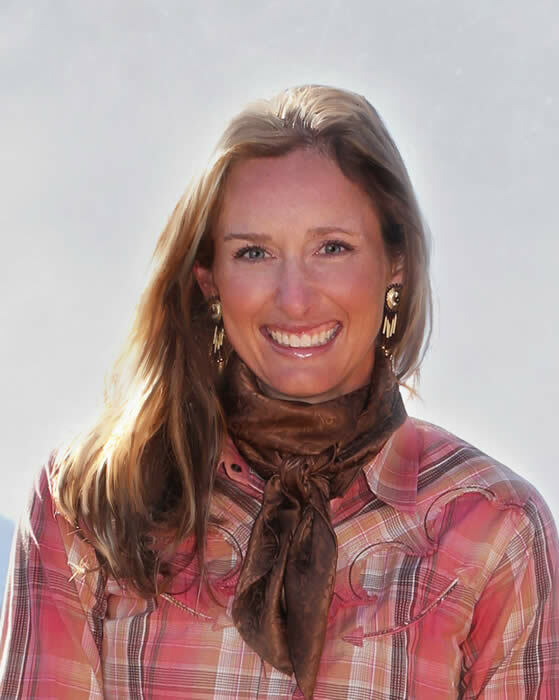 Dr. Candice Carden was born and raised in Afton, Wyoming. She received a bachelor of science degree from the University of Wyoming in 2001, and completed veterinary school at Colorado State University in 2005. She began her career first as an intern and then as an associate at Elgin Veterinary Hospital, a large equine referral and surgery facility in Elgin, Texas. She then started her own mobile equine practice, working at various quarter horse and thoroughbred racetracks in the United States and Canada, as well as providing medical and surgical care to equine athletes of all disciplines. While she enjoys all aspects of veterinary practice, she has special interests in ophthalmology, lameness, and surgery cases. She is a certified acupuncture practitioner, and enjoys integrating acupuncture into treatment protocols for equine, bovine, and small animal patients. Since 2013, she has cared for some of professional rodeo's top equine athletes each year at the National Finals Rodeo in Las Vegas, Nevada. Dr. Carden enjoys spending time with her daughter, as well as a trio of french bulldogs, various barn cats, and several horses. Dr. Summer Hanson joined our team in June 2012, after graduating with her doctor of veterinary medicine degree from Washington State University. She grew up on a small commercial cattle ranch south of Worland, Wyoming. After graduating with a Bachelor of Arts Degree from the University of Wyoming, Summer and her brother owned and operated Rimrock Cattle, located south of Worland. In 2007, she began to pursue her Doctor of Veterinary Medicine degree, and her brother chose a different path. Currently a resident of Kaycee, Summer enjoys interacting with members of the community, whether at Harold Jarrard Park events, or on ranch calls. 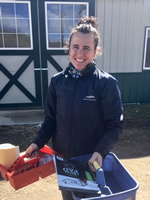 Dr. Christina Vondra grew up just west of Steamboat Springs, Colorado, in Hayden, Colorado, where she enjoyed showing cattle and horses in 4-H. She attended the University of Wyoming, earning a bachelors of science in animal science in 2013 and a Masters degree in ruminant nutrition in 2014. 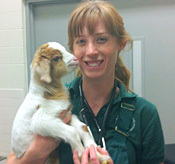 In 2018, she graduated from Colorado State University with her doctor of veterinary medicine degree. 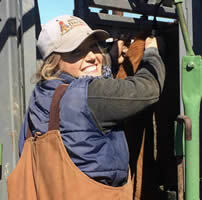 She enjoys working with all animals, especially cattle and horses. She is looking forward to enjoying everything Kaycee has to offer! In her spare time, she enjoys spending time with her husband, Cody, her two dogs and two horses, and working on various crafting projects. Michelle was born and raised in Minnesota. She earned a bachelor of arts degree in business and marketing from NDSU. She and her family moved to Sheridan from Texas in 2015, and she began working at PRVHS at that time. Acting as both office manager and technician, she keeps everyone and everything organized at our hospital in Sheridan. She enjoys reading, spending time with her family, and riding her horses when she has a spare second!